Sometimes I like to see myself as a “serious” bike rider. I ride in the rain and cold, maneuver adeptly in urban traffic, and participate in the occasional brevet. That’s right, people. Serious. Another part of bicycling that I take seriously is riding no-handed. Ironically, riding no-hands evokes images that to me are far from serious. Rather, it’s joy riding that takes me back to the days of pedaling around my hometown in the rural Midwest. When my middle sister and I learned to ride bikes, our radiuses expanded from a few blocks to as far as our legs and two wheels would take us. We rode pretty small bikes and had equally small legs so we didn’t go far, but they certainly got us from one end of town to the other– an entire half-mile! Initially, that half-mile was quite an accomplishment. “Look at us go,” we thought. “We’re something now.” Little kids no more, our bikes graduated us to regular kid status. However, you can only ride around a town that size for so long until it loses its thrill. In need of a new challenge, we set our sights on learning to ride no-handed. My bike, a sparkly purple steed with the name “Gypsy” painted on the chainguard, rode great no-handed. Middle Gersemalina, on the other hand wasn’t so lucky. Her emerald green Schwinn Spyder with yellow grips was impossible to ride without at least one hand on the bars. I hopped on her Schwinn, pedaled as vigorously as I could, built up speed, and let loose of the handlebar grips. My theory proved incorrect and I immediately careened into a ditch. Wham. The no-handed project was put on hold. Eventually, my sister and I upgraded to 10-speed Raleighs and resumed our no-handed efforts. Those bikes had no troubles balancing and we gradually built up our skills until we could do no-handed laps around town. We thought it a huge cycling accomplishment to ride from home to the other end of town and back, make a few turns along the way, and not touch the bars AT ALL. After I went into the upper grades of high school, other activities took precedent and I lost those finely tuned bike-handling skills. 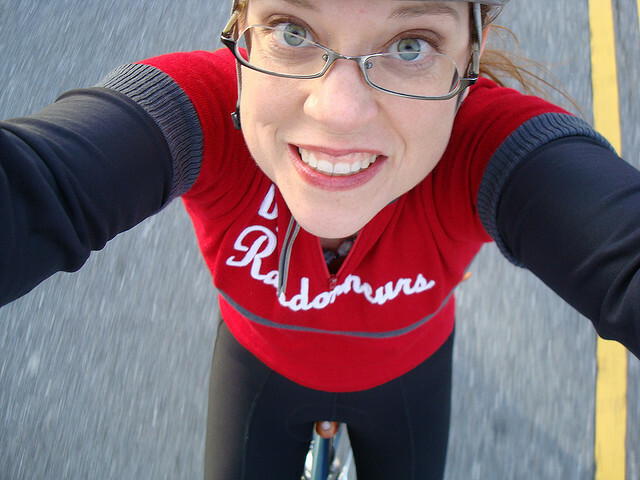 It wasn’t until I had been riding again as an adult and evolved into this serious cyclist I noted above that I committed to relearning to ride no-handed. I made Hains Point, a well-known 3.2-mile loop in Southwest D.C. my practicing ground. At first, it wasn’t easy. I’d lift my hands off the bars and the bike would veer to the left. Or to the right. Dang. This no-handed thing doesn’t come back right away. I doggedly kept at it. I centered my body on the saddle and convinced myself to pedal fast enough to take any wobble out of the front wheel and handlebars. I gently lifted my hands off of the hoods, lifting my upper body to then use my hips to steer the bike. Eventually, the feel for riding hands-free returned. The bike veering diminished and, with new confidence I then honed my no-hands skills while also having a pannier attached to the bike. After figuring that out, I taught myself the art of the danger panda, one of the sillier photos a person can take while riding his or her bicycle. I watched other hot shots (like Felkerino) take off their jackets and stuff them into their jersey pockets, all the while going hands-free. Envious, I took to practicing that skill on pre-work laps around Hains Point. I can now remove my arm warmers while riding no-handed with confidence. The jacket? Well, I can do it, but I’m still practicing. I work best with a straight road and a gentle tailwind. 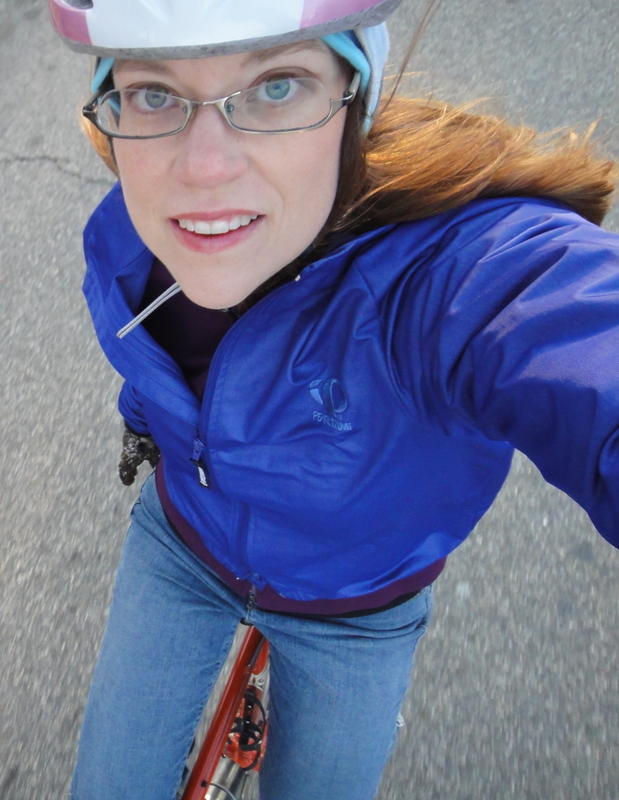 Relearning the skill of riding no-handed brought a joy to bicycling that I hadn’t felt for a while. Riding hands-free is a somewhat serious skill to master that also takes a bit of courage, but whenever I do it I’m reminded of the fun times spent growing up with my sisters in my little town, and how we could pedal from one end of it to the other without even brushing the bars with our fingers. From a danger panda jedi… thank you! 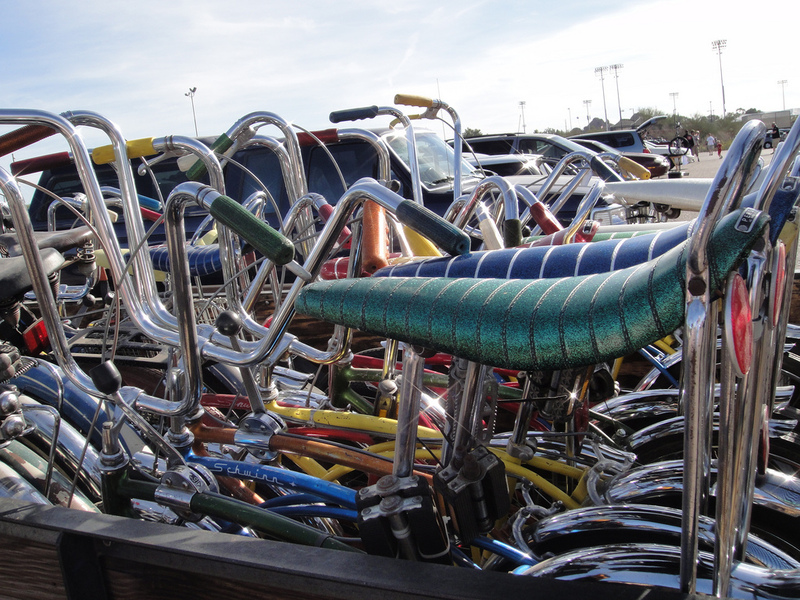 What a great story about riding bikes in your childhood! I’ve always wanted to ride no-handed, but have never been able to accomplish this. How do you do it?? Lisa, can’t believe I omitted my technique! I added my description of it to the post. It’s all about developing the feel! Thanks for adding the technique– I just need to practice! To the end of town no handed, I’m jealous. I had a friend who once was amazed I never figured out how to ride no handed (one-handed sometimes). She said I must way over think it – which is likely true. That’s totally my problem! I overthink everything, riding included. I’m working with a bike coach to get rid of that tendency, but in the meantime, this is a great idea. I should try it. Though, I did try to ride no handed (and with my eyes closed) when I was 14 – and broke my arm. Oops. I still tend to wobble a bit and only dare try when I’m sure I have flat, straight road ahead. The perm route in the lower eastern shore of VA does over LOTS of flat and straight. I made it a whole mile doing that one once. It definitely depends on the bike. I’ll go no-hands on the disc trucker (as long as there’s not too much weight on my non drive side pannier), and have recently gotten back to no hands on the fixed gear. In fact, I have been practicing at HP too – a full 3.25m gate to gate with no hands feels nice. Maybe no hands ride after #FCC tomorrow! i always enjoy your danger panda shots! LOVE this. I swear, I was thinking about no-handed riding just a day or two ago and dreaming of a bike better suited to that than my current steed. Great post!! I was a no handed jedi master when I was a kid. (We also used to get our bikes up to speed, jump off and see whose would go the farthest before crashing.) I have been unable to ride no-handed since about the Reagan administration. I blame Ed Meese for this. Will redouble my efforts to re-learn because it really is fun and useful. I’ve been pondering my lack of no-handed abilities as well. We used to play catch with freezbies in an empty parking lot while riding with no hands. Now I feel like I’m taking my life in my hands. I thought the bike geometry might make a difference, or the fact that I’m clipped in, but I suspect it’s simply that I’m old and out of practice. You’ve given me hope for a return to no-handed glory! Wonderful post, both the nostalgia and the pragmatics. Any thoughts about what makes some bikes easier to no-hand than others? Congrats on the return to no-hands. It’s fun and occasionally useful. I never did lose my own no-hands chops but a few years ago riding so was responsible for a painful and embarrassing crash in an empty parking lot.